Follow along with Mr. Cattrell to complete the following rotation. 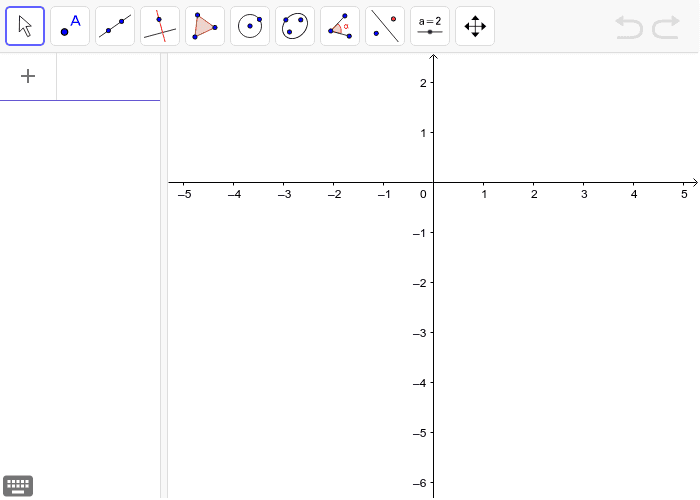 1) Create ΔABC, using polygon tool, 5th from left - A(-2,3), B(1,0), C(3,-1) 2) Create a point using point tool, second box from left - D (1,1) 3) Create an angle slider using slider tool, second box from right. Select slider tool, then click in the empty space of graphics screen. Click on “angle”. 4) Create ΔA’B’C’ by rotating ΔABC using rotation tool, third box from right - Select rotation about a point tool, click on preimage, click on center of rotation (D), and make “alpha” the angle of rotation 5) Explore how the image moves as the slider value is changed. Follow along with Mr. Cattrell to complete the following translation. 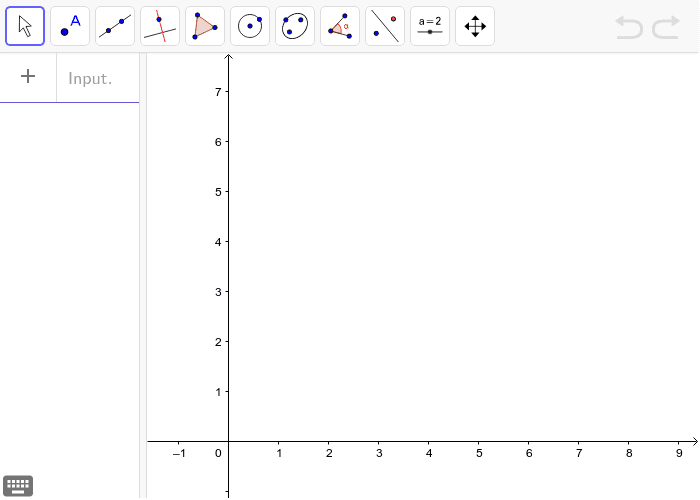 1) Create ΔABC, using polygon tool, 5th from left - A(-2,-6), B(0,-3), C(1,-4) 2) Create vector, using vector tool, 3rd from left - <3, -4> 4) Create ΔA’B’C’ by translating ΔABC using the translation tool, 4th box from right -Select translation by vector tool, click on preimage then the vector.